proMX GmbH in cooperation with well-known companies moves forward an international ideas and experience sharing. One of the most important specialized congresses for project managers will take place this year on 28-29.10.2014 in Nuremberg. This is already the 31-th International Project Management Forum of the GPM German society that is organized over the patronage of Nuremberg chief burgomaster. „Project management is building stable bridges between worlds” is the motto of this year PM Forum. It is particularly important for local and regional policy constructively to involve different groups of interests in the complex processes. Innovations and growth are being implemented through projects and Nuremberg as the economic region continues the development of the project management competences. There are participants with experience in national and regional industry branches such as Daimler AG, Lufthansa Cargo AG, Siemens AG, Audi AG etc. proMX GmbH will take part in PM Forum with a stand #308. 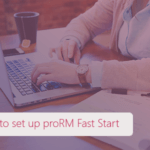 The company will represent its specialized software – proRM Business Solutions for sales, resource and project management. 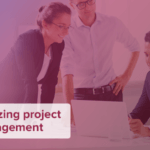 Recently the solution has been modernized and optimized for more users’ flexibility and satisfaction of the main requirements of project managers. Easily understandable apps with user friendly interface, extensive functions, decreasing of the work routine and cost saving are just some advantages, which can be received by proRM Business Solutions users. The Forum offers many opportunities to build new connections, make new contacts and to establish new partnerships, beyond business, industry, and national boundaries. Such event as PM Forum in Nuremberg is the best place to do so. Numerous lectures of experts and their practical experience will certainly encourage the participants to the productive exchange of information. It is a chance to receive the great amount of tips and tricks as well as numerous suggestions for own corporate box. The leading PM companies will represent their expertise on the special exhibition. The participants will have the opportunity to expand their personal network and build future-oriented strategies. The proMX team expects you on our own exhibition stand #308. Our experts will tell you more about newest trends and opportunities of using Microsoft Dynamics CRM and proRM Business Solutions for more project control and efficiency. If you want to have personal meeting or consultation, please contact us using this form. 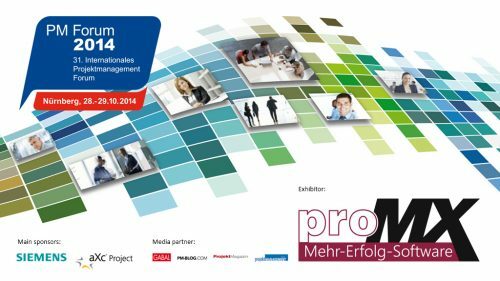 Our experts are waiting seeing you soon on PM Forum 2014.
proMX GmbH together with Microsoft begins the Road to the Repeatability (R2R). The best companies all over the word had a great positive experience of being “repeatable” and this is a reason to start using this progressive way. Your market search will bring you to discover proRM Tracking Apps and here are some of the reasons you will like them. Use our special guide, which will help you to understand the essence of each App and to choose the most appropriate solution for your management style. Don’t You Use Essential Tracking Apps for Project Managers?